NEW YORK (Reuters Breakingviews) - For tech companies with headlines to fill and egos to please, details matter. One is how companies undertaking initial public offerings price their shares, and how they perform in their first day of trading. Pinterest and Zoom Video Communications have both priced their shares higher than the ranges provided earlier by their underwriters and management. When insiders already hold supervoting shares, though, leaving a bit less on the table is a gentle reminder of who calls the shots. NEW YORK (Reuters Breakingviews) - Apple and Qualcomm have faced up to their mutual need. The $940 billion smartphone maker and $85 billion mobile-chip firm on Tuesday ended a two-year fight over royalties with a licensing agreement and a cash payment to Qualcomm. Apple can’t risk being stuck with second-rate semiconductors in its devices, and Qualcomm has huge revenue at stake. At first blush, both sides benefit from the truce. SAN FRANCISCO/NEW YORK (Reuters Breakingviews) - A $100 billion price tag is still in Uber Technologies' driving range. The ride-hailing app just released the prospectus for its initial public offering, which could value it at about nine times 2018 revenue. At least that’s less than the multiple at which faster-growing Lyft went public. Both cash-burning firms face an uncertain road to profitability. Uber’s diversification may help it survive the long journey. NEW YORK (Reuters Breakingviews) - The American legal blitz over opioids is a smoking mess. Overdose deaths are mounting, Oklahoma last month won a $270 million settlement against Purdue Pharma and its owners, and thousands more lawsuits target makers, distributors and sellers of the drug. It recalls the tobacco crisis that ended with a $206 billion agreement in 1998. Yet proving liability and apportioning blame will be much harder. NEW YORK (Reuters Breakingviews) - Boeing's belatedly grounded jets are an apt symbol of the erosion of U.S. soft power. After saying there was no problem in the wake of two crashes, the most recent on Sunday, the Federal Aviation Administration on Wednesday grounded Boeing’s 737 MAX 8 and MAX 9 aircraft. The FAA usually shows the way, but many other governments had already banned the planes. NEW YORK (Reuters Breakingviews) - The surprise departure of Apple’s retail chief, Angela Ahrendts, leaves two questions. Why did she leave? And had she done a good job? Investors can’t know the answer to either. The $821 billion smartphone maker has a penchant for hiding information that investors would find useful. The lack of clarity helps explain the valuation discount hanging over its stock. WASHINGTON/NEW YORK (Reuters Breakingviews) - Google and Facebook have made their quarterly case for a watchdog. The search engine’s parent, Alphabet, reported soaring sales and profit just days after Facebook’s blowout earnings. Concerns about fake news and the wanton commercialization of consumer data have done little to clip their dominance of online advertising. It’s all the more reason for regulatory oversight. NEW YORK (Reuters Breakingviews) - Amazon.com’s aggression has a sustainable fuel supply. The $840 billion e-commerce giant’s holiday quarter sparkled with revenue growing 20 percent. Web services and advertising are two of the biggest sources of this expansion. They’re also the most profitable – and have plenty of juice left in the tank.  NEW YORK (Reuters Breakingviews) - Apple’s cash and services help salve iPhone worries. The $740 billion tech giant’s holiday quarter was dismal, as foretold. A 5 percent sales drop shows Tim Cook’s company can no longer expect to sell significantly more phones or jack up prices. Rising margins on extras sold to iPhone users and the promise of $130 billion of capital returns buys Apple time to refresh. NEW YORK (Reuters Breakingviews) - Bristol-Myers Squibb is taking a $74 billion bet against the market. There are good reasons to buy rival oncology giant Celgene. But cost cuts don’t cover the 54 percent premium, and the target’s owners get the financial benefit. Bristol is hoping for luck in the courts and multiple regulatory approvals that Celgene’s shareholders were skeptical of.